$70 per person, 3 person minimum. Let’s go for a little look-see around the Anchorage area. We’ll take you along the Chugach Mountain Range where you can look for sheep and glaciers. Then we’ll zoom over the Turnagain Arm and Knik Arm of the Cook Inlet where beluga whales are often splashing about. Sometimes in the fall you can spot moose walking around the city parks and streets. On a clear day it’s possible to see the beginning of the Aleutian & Alaska mountain ranges, Mt. Susitna (also known as Sleeping Lady) and Mt. Denali. $200 per person, 3 person minimum. The North Star Tour is strictly glaciers! 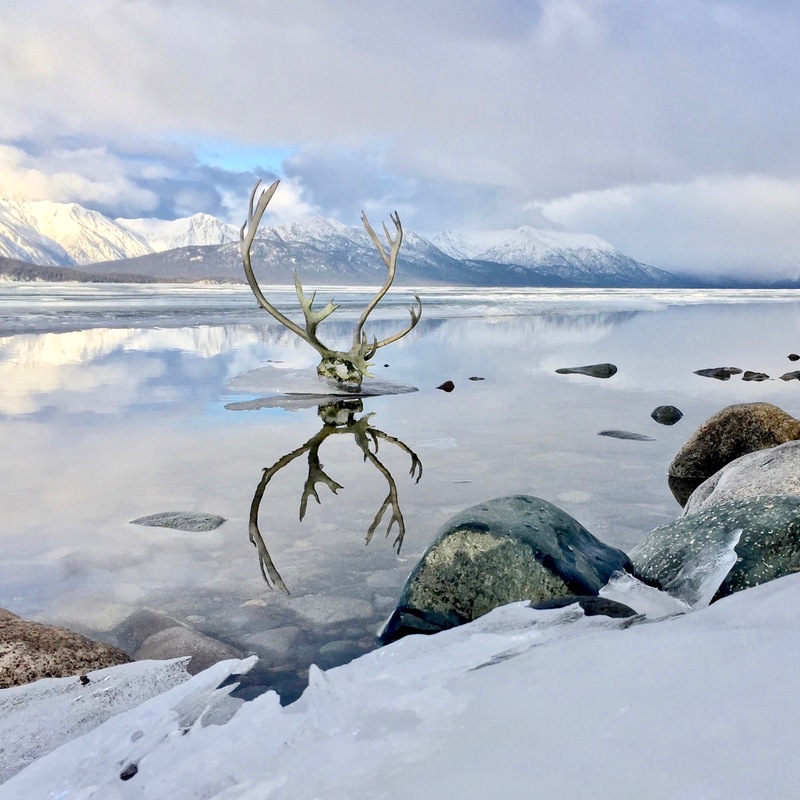 We’ll take you on a 1 hour tour northeast of Anchorage into the Chugach Mountain Range, where according to wikipedia the average annual snow fall is 600 inches – the highest in the world. We’ll get you close to beautiful wonders like the Matanuska-Susitna, Eklutana, Chickaloon and Knik glaciers. Flight based out of Anchorage. $400 per person, 3 person minimum. Join us on a 2+ hour flight-tour to see the Great One up close. As weather permits we’ll search for the peak of North America’s tallest mountain protruding from the huge Alaska Mountain Range. We’ll look for brave climbers in May, animals feeding around its giant girth all summer, and it’s reflection in Wonder Lake during the beautiful colors of autumn in late September. 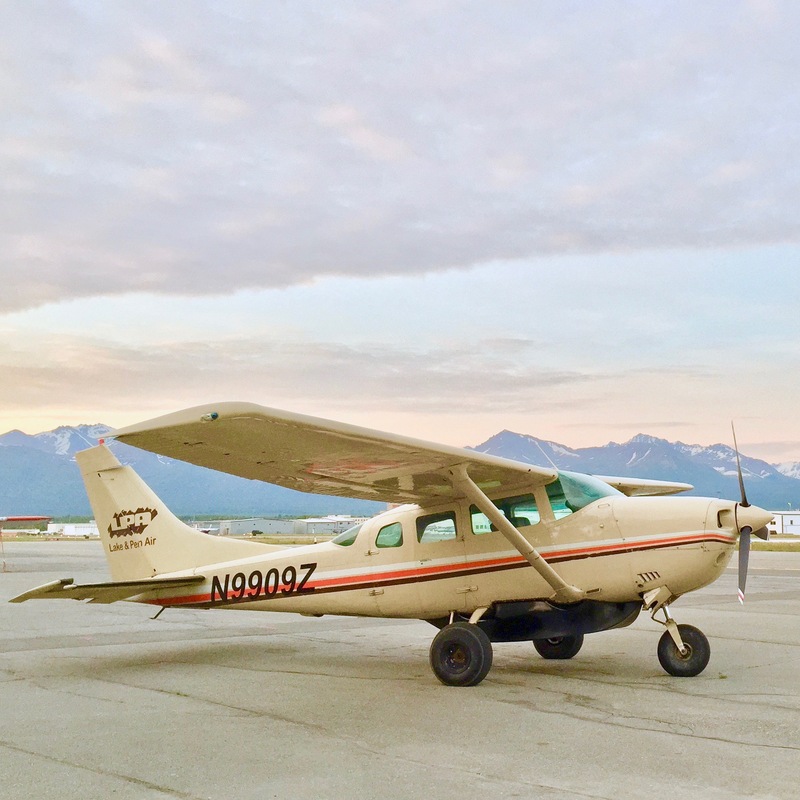 The flight there and back provides lots of opportunity to enjoy the beautiful Chugach Mountain Range, Talkeetna Mountain Range, Sleeping Lady Mountain and the Susitna watershed, farm lands, and animals. Flight based out of Anchorage. For a spectacular adventure, based out of Port Alsworth, take this 1 hour tour heading east from Port Alsworth. You’ll fly past Tanalian Mountain and over the Tanalian Falls, where the pristine glacier waters of Lake Kontrashabuna tumble down into the Tanalian River. In the spring and summer the melted snow and glacier water rush with intensity. We’ll follow the long deep turquoise lake as it bends to the south and heads into the mountain pass that holds the huge and often steaming Mt. Iliamna, and its’ behemoth Tuxedni Glacier, which fills multiple valleys on the mountain! Don’t worry about what side of the plane you sit on because we’ll backtrack our route to Port Alsworth so you can see everything you think you missed on the other side of the plane! This will likely be one of your favorite day tours! Enjoy a 1 hour flight tour over some of Alaska’s most remote and beautiful terrain. Survey the snowcapped mountain peaks as you fly through the pass and try to spot the Alaskan Grand Canyon. Once you arrive at Lake Iliamna, look for freshwater seals on the beaches of the lush islands. Try to spot the tiny remote villages that dot the base of the mountains and along the shoreline of the world’s second-largest freshwater lake. Based out of Port Alsworth. Ready for your Flight Tour?